One late night, I was overwhelmed by sweet ringing thoughts leading me to writing a poem on love. On the heels of this, the idea of having others pen similar poems came alive. 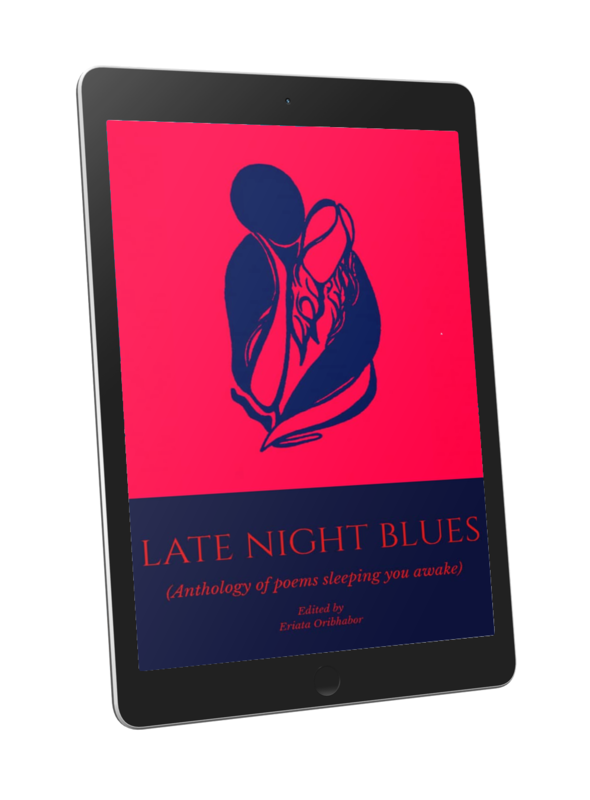 Subsequently, I made an online call for poems which were edited where necessary and christened Late Night Blues (anthology of poems sleeping you awake). Written by friends for friends and non-friends, these poems are creative spices of love every one could draw happiness from. Download LATE NIGHT BLUES here.